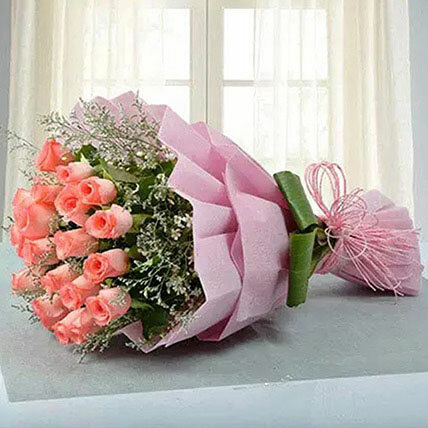 Gift this gorgeous bouquet of pink flowers to your dear ones and make them feel loved. Ferns N Petals presents this lovely bouquet of fresh long stem pink roses with lots of fillers. It is packed beautifully with gift-wrapping.